Yes, this is a relatively expensive app, but there is a free version to try. What if you could have a UI that is way faster than vSphere Web Client, that allows you do things like clone or migrate VMs, check in on CPU utilization, and even do vMotion, with simple tap-tap-tap ease of use. Yes, it's extremely snappy. It'll even launch your favorite iOS RDP or SSH apps to get right into your VMs, if you so choose. If you have a secure iOS VPN to your server or home lab, you can even do remote administration, when you're on the go. OPS1 versus OPS1E feature comparisons table here. Yeah, the non-Enterprise version is pretty crippled, but free. This video will give you a very good sense of the product, before you decide whether to try, or buy. While I do use some AWS (Amazon Web Services), I have not tested whether this app can interact with them. 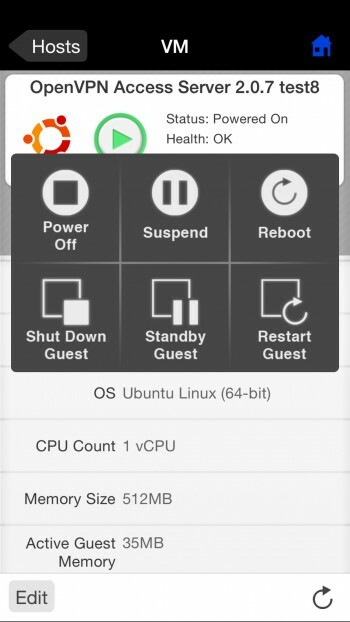 While either version is free to download, OPS1E allows in app purchases to unlock the advanced VMware features at a cost of $24.99 on iPhone, and another $24.99 on iPad. * (details below). Reviews are admittedly mixed. Have a look at the video below first, which is best viewed fullscreen on a 1920x1080 monitor with the video set to 1080p, fullscreen. 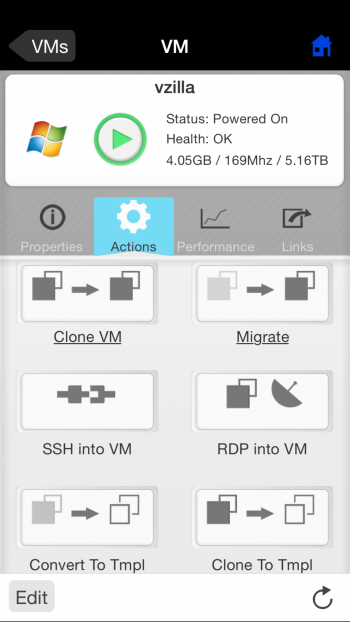 It'll help you make a more informed choice, even if you decide to seek out alternatives, or the free "keep an eye on things" VMware vSphere Mobile Watchlist. My OPS1E demonstration, on an iPhone 6 Plus. *I cannot say with 100% certainty that OPS1E will work with the GA version of vSphere 6.0 of course, or whether the developers will be testing that. But it sure seems likely, based on how well the testing has gone with various builds. There is no guarantee from TinkerTry, nor the publisher, and no refunds. If you are using the free version of ESXi, you will likely experience limited functions (read-only access) when using OPS1 or OPS1E. Yep, still works just fine, right up through the latest ESXi 6.0 Update 1a. Yay!